The service was great, but the tech was incredibly pushy about buying new doors, even though my doors are just fine. Armando provided good service. He was professional and up front about the charges. I was happy with his work, but disappointed with the cost of the services. I refused one recommendation to change one of my cables, because I knew the cost of the part, which was small compared to the cost to repair. The service tech replaced my very old and unsafe opener that was non-functioning. He explained how everything works and left a completely satisfied customer. My door runs quietly and smoothly! We were in need of emergency repair do to snapped cable and called Precision they sent technician with in a hour. Very professional . And will call again if the need arises. Prompt, knowledgeable and efficient. Just what a busy person needs! Good pricing to boot! Mark from Precision is very professional. Mark took the time to explain the issues and gave me alternative options. All my questions were answered and I will recommend this company to any one. I used Precision a few years ago and their professionalism and work ethic is what determined my calling them for my most recent issues. 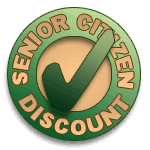 Excellent service & was so impressed with the courtesy & knowledge of Steve the technician. Would recommend this company especially the fast response to our request for service. Jaysen was very prompt, efficient, knowledgeable, and pleasant to talk to. He completed the repair in a timely manner and the garage door operated much more smoothly than before. Great service although the cost was more than expected. Five stars all the way!!!Wow! I called at 12:55pm and my garage door was fixed at 2:10pm! Very professional operation. Email response right after I called. Tony did a great job and was friendly and professional! I would definitely recommend Precision Door Service. Jayson was my technician. He called to inform me that he was coming, and when he arrived he was wonderful. He did a thorough look at my garage door and suggested certain parts but let me know that a new door wasn't needed. Originally I thought I would need a whole new door, he told me it was just a couple of rollers. Saving me at least a thousand dollars! It is refreshing to encounter an estimator that doesn't try to up sale you. I am definitely going to get the work done here and will refer them to any that ask. Jaysen was early for the appt, which was good. He called me to let me know he was coming. He did a thorough examination of the garage door opener and made adjustments to get it working again. He also recommended certain parts be replaced. I forwarded all of this to my landlord. This issue was an urgent one to fix and he did a great and timely job completing it. 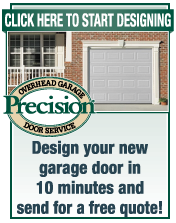 I would recommend Jaysen and Precision Door to my family and friends. Thanks. Tony was very professional and completed servicing and troubleshooting efficiently. 5 star rated company and technicians. I really appreciated how fast Tony was able to get our more than 20 year old garage door back in working order. He was efficient and very capable. The technician was very pleasant, on time and very clean. He explained our options thoroughly. We are very pleased with the service. Very good customer service, starting with the phone call to make an appointment, ending with your service man (Louis) giving great information during and after repairs were made. I found the total experience very professional. Brian R. was friendly with a VERY business attitude. I noticed your truck, hard not too. I did not check for a ID. Brian opened the garage door, verified the problem, explained it to me and fixed it. He didn't clean the garage, I guess that's my job. Good Job. Arrived at the start of the 12-2 window. I mean right at 12. Did the work fast and they were very friendly. Calling Precision was one of the best decisions I ever made. The technician came on time, did a great job and the price was reasonable. My garage door worries are over! I found your technician, Jesus very capable in finding the problems with my garage door. He replaced defective limit switches and light beams. He did the work quickly and checked out the door for other possible problems. I would use Precision again because of their excellent response, ability to keep their appointment and address our problems. My garage door wouldn't close properly, so I made a last-minute call to "Precision Garage Doors" (after conducting Google/Internet search). I was extremely pleased to see they were able to come to my home within 2 hours, arrived on time, and Jesus (my Tech) was very polite, explained options I had, and his repairs were performed quickly and professionally. I had options, but deciced to replace my 10 year old springs & rollers, and had some various minor repairs done on my door/motor. I would HIGHLY recommend this company to anyone needing repairs on their garage door, and would definitely call them again in the future if I were to have any problems. Thank You Precision Garage Doors!! I choose Precision because of the information on your website and the ability to come out the same day. I was pleased with the service and communication that your service technician gave me about preventive maintenance. I chose Precision from your ad in the Clarke directory. Normally I call several companies for phone estimates but decided this time not to go through that hassle and just retain your company and hope for the best. My window from 4-6 was not met but I was contacted by both a company representative and later the technician advising the delays. 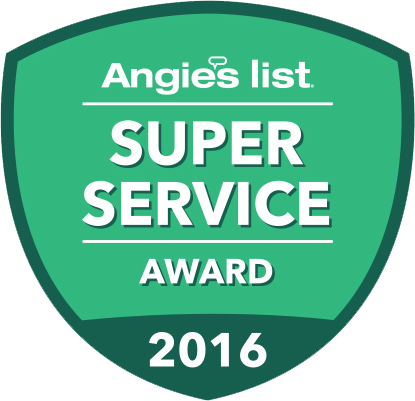 Service was efficient and your service representative was apologetic for the delay, pleasant, informative and professional. More costly than anticipated but very satisfied overall.